Well, this looked like it would be an interesting read, a decent thriller. It was a decent read, but it was flawed. I had a few qualms with it. My biggest one was that the entire book felt slightly incomplete, like there were a bunch of events, and they were all loosely tied together, but it felt somehow as though Lutz was supposed to have gone back and fleshed things out a little better and never did. The story was interesting, and I really wanted to know what was in Tanya/Amelia/Debra’s history, because it must have been something major for her to go on the run and live a life of pain and suffering, and be hunted for something that has happened a decade before. Sadly, the payoff at the end is quite a let down. This major event was alluded to for so long that it actually got a little annoying, so when we finally got to it, all the air went out of me. Like a “really, that’s it?” kind of moment. Which is a pity, because there was so much potential. There were so many opportunities to explore the psychological recesses of our lead character’s mind, but they never really got looked into very closely, which meant the most important character of the book lacked depth, meaning I could not identify with her at all and I found her to be a tad melodramatic, too. No, that didn’t help matters. Blue was a really interesting character that I wished had been explored a bit more, she was just a dash cuckoo, and to uncover more of her secrets would have been fascinating. Maybe not overly believable and her placing was slightly too convenient, but I liked her a lot. Then there is the relationship between our main character and Domenic, which I enjoyed quite a bit. It was insane, it was strange, but it worked for the whirlwind of a story that we got. The pacing was alright, albeit a little bit confusing initially, it starts to make sense and the book flows from there. 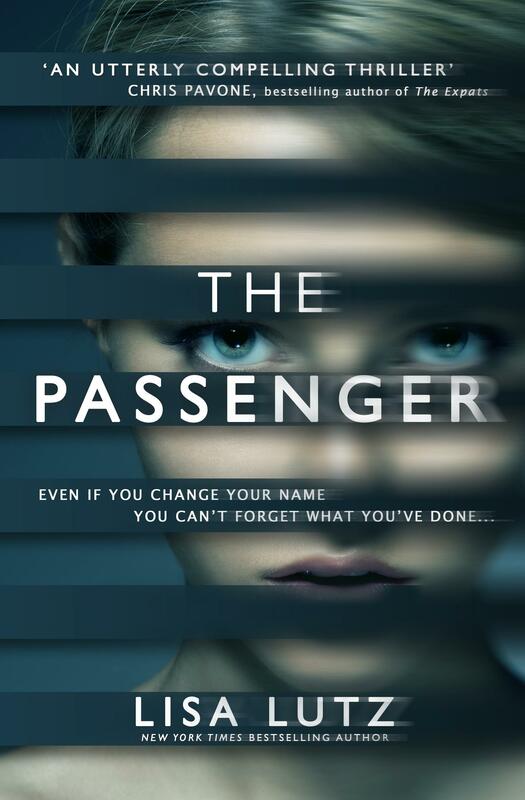 I would definitely say that The Passenger is a quick read, engaging although not brilliant, with some interesting characters and events that certainly held more potential than they were eventually granted. A lot of these events I feel were set up and rushed through, and they were given such a big hype up beforehand (looking specifically at the family home that the lead character had stayed at) and nothing came from it ultimately. I enjoyed the book without loving it, wishing for some more thrills, and I was not so enamoured with the way that a lot of the book felt like rinse and repeat, reading the same thing, just slightly different – new name, new hair, new town. Repeat. Repeat. I was hoping for a faster, darker thriller, and this story trundled along, some interesting times, others not so much. What I can say is that if you are looking for a fast, decent read between books, this would be it. I liked the author’s work and would probably try out some of her other stuff should I come across it. This entry was posted in Books and tagged blue, book reviews, books, decent, Melinda Lyons, murder, Netgalley, Nora Glass, not bad, okay, quick read, running, Tanya Du Bois, The Passenger, thriller. Bookmark the permalink. It had another cover when I picked it – some dark road lit by headlamps, but decided on trying something else xD Neither really wins. I’m only familiar with her Spellman series, and I’d like to pick up something new of hers but I’m not sure if this would be it. The story doesn’t intrigue me enough to put this on top of my to-read list. Good review, though! Thanks! Yeah, the story just did not do as much as it could have, so I think you can skip. The general consensus seems to be that her Spellman series is infinitely superior.